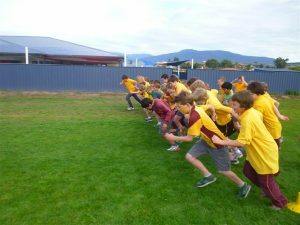 BRIGHTON Primary School recently held an Adidas school fun run and raised $5000 for vital extra funding. Students pounded the pavements seeking sponsorship from family, friends and members of the local community in order to raise money for their school. Thanks to their enthusiasm and the support of the local community, extra funds are now available to purchase new resources for the school. Adidas school fun run organiser Johanna McShane is extremely proud of the way the students rallied behind the fundraiser. The start of the Brighton Primary School fun run. 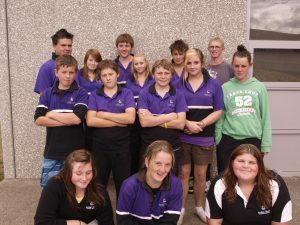 THE Jordan River Learning Federation held its swimming carnival recently at the Glenorchy Pool with a record number of participants. JRLF welcomed the year 5 students for the first time at the carnival and it was great to see them all there on the day. Winners are grinners at the Jordan River Learning Federation's swimming carnival. YOU may have noticed some activity in the media highlighting Brighton Council’s opposition to the current campaign by property owners to force local government amalgamations. SIGNS have been erected at strategic spots in the Brighton municipality to counter the push for council amalgamations that would have a dramatic impact on the municipality’s ratepayers. 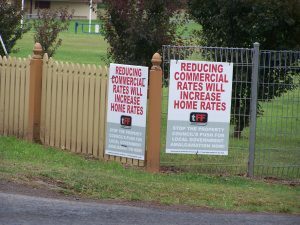 Brighton Councillor Leigh Gray said the signs had been placed to combat the misleading message on signs put up by the group Tasmanians for Reform claiming that local government amalgamation would reduce rates. Signs in Brighton municipality that counter the push by 'the big end of town'. BRIGHTON Council has called on the Property Council (Tasmania) to work with local government to benefit ratepayers rather that continually attacking the third tier of government. BRIGHTON Council is well aware of the cost of living pressures confronting our community and the difficulty many people face as a result of ever-increasing price rises and utility charges. BRIGHTON Council is lobbying the State Parliament and other southern councils following its decision to resist the current push for the establishment of a greater Hobart council comprising the municipal areas of Hobart, Clarence, Glenorchy, Kingborough and Brighton. BRIGHTON Council has confirmed that it will absorb the carbon tax impact and restrict rate increases to CPI for the 16th year running, with anticipated increases of just $23 per household.